Many famous directors have attempted to create a portrait of Sicily on film. This complex, stunningly beautiful island is a land of contradictions, inhabited by a proud, hospitable people who, despite a certain reserve, are happy to extend warmth and generosity in equal measure, and where the conspiracy of silence known as âomertàâ exists alongside an equally ardent will to fight this silence. Transcribing all these characteristic traits into art is no simple task. The first great masterpieces were based on the classics: Luchino Visconti turned to Verga to make such films as "La Terra Trema" (The Ground Trembles) in 1948 based on his book "I MALAVOGLIA", and to Tomasi di Lampedusa for "Il Gattopardo" (The Leopard) in 1963 from the book of the same name. In the same vein, the sad and agonising story related to "Stromboli Terra Di Dio" (1949) depicts a strong portrait of a woman filmed against a background of untamed nature, directed by Roberto Rossellini and starring Ingrid Bergmann. Films about the Mafia are a case apart. However, also belonging to this genre are films of social importance, such as "I Cento Passi" (One Hundred steps) directed by Tullio Giordana (best screenplay in the 2000 Venice Film Festival) which skilfully recounts the story of the story of the journalist Peppino Impastato, who was killed in 1978 after many years fighting the Mafia. 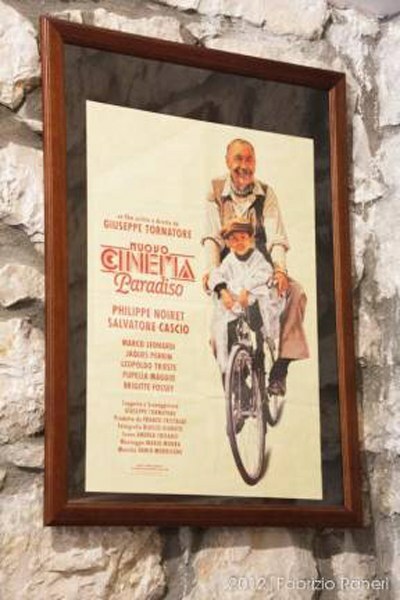 A poetic view of Sicily is portrayed in Michael Radfordâs "Il Postino" (The postman) made in 1994 and starring Massimo Troisi, and in Giuseppe Tornatore âs "Nuovo Cinema Paradiso" (1989), which received an Oscar for the Best Foreign Film in 1990.